Keith Silman Painting & Remodeling is an Amarillo based remodeling and renovation contractor company that has been serving West Texas since 1985. 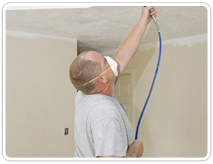 We are dedicated to providing great service and quality work at a fair price. From the initial contact until the job’s completion, we will be prompt, courteous and communicative, and will always do exactly what we promise to do at the price we quoted. We offer all Residential and Commercial Remodeling, Kitchen Remodeling, Bathroom Remodeling, Renovations, Restorations, Repairs, Deck Building, Room Additions and Commercial Build-outs. We also offer Residential & Commercial Construction, Tile Installation, Painting, Wall Textures, Drywall Repair, Storm & Hail damage Repair, Water, Flood & Fire Damage Restoration and more! We specialize in Custom Fabrications and Personalized Detail by Design. We also offer All Phases of General Contracting including: Sheet Rock, Painting, Carpentry, Electrical, Plumbing, Heating and Air, Welding, Steel Buildings and more! Keith Silman Painting & Remodeling are a fully licensed and insured home renovation contractor company, and our diverse and experienced crews include carpenters, painters, drywall contractors, electricians, plumbers, welders, flooring specialists and HVAC professionals. We value our customers and are committed to turning each working relationship into a long-term partnership. Our commitment to service and quality is unwavering, and we prove it on every job so that the next time our customers need a home remodeling or repair service, they will always call us! Whether you need a small bathroom repair, upgrade or are designing a whole new bathroom, we invite you to share that dream with our bathroom design consultants. We would love to work with you to create a custom design that fits both your home or business and your busy lifestyle. We offer a near limitless variety of colors and styles, from flooring and countertops to cabinetry and fixture options. We are experts in converting old bathroom issues into comfortable solutions; such as tub to shower conversions and walk in bathtubs. Are you looking for a simple countertop and cabinet replacement or are you thinking more of entire kitchen renovation or kitchen addition perhaps? Our experts can custom craft a space that exceeds your expectations. It all starts with sharing your dream kitchen with our kitchen design consultants. We will then help you select the cabinets, countertops, fixtures and appliances that can make your dream a reality. Our installers will work as quickly and efficiently as we are able, so that your busy life faces only minimal disruptions. We now offer Excavation (including digging for trenches, footers, sewer and water lines etc). Some of our new equipment includes a skid loader with a 12” ditcher and a small backhoe that can navigate easily around existing structures. We live and work in West Texas and understand how volatile the weather can be here. When hail, rain, wind and snow cause damage to your property, call us to fix it. And when the snow starts falling and you need a path cleared, call us to plow it so you don’t have to! We have all of the necessary equipment to make snow removal a breeze! Call us for all of your General Contractor needs! Contact us anytime and let us help you make your dreams for your home a reality. Remember, if you can Dream it, we can Build it! We are a Home Remodeling / Renovation / Restoration / Repair Company serving Amarillo TX and surrounding areas for over 30 years. We also offer all phases of General Contracting.